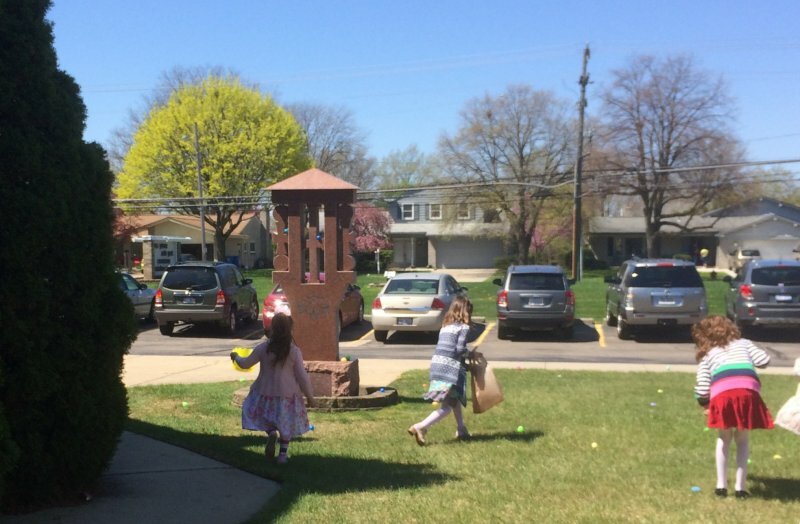 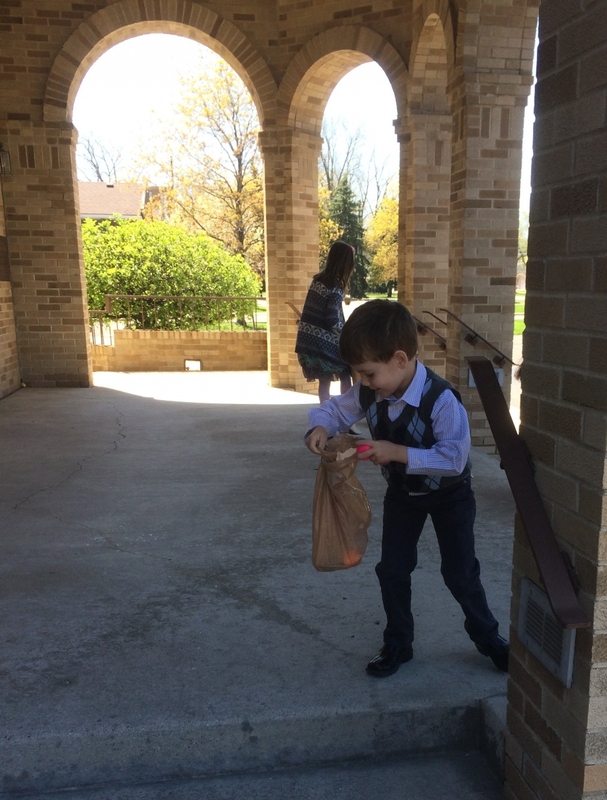 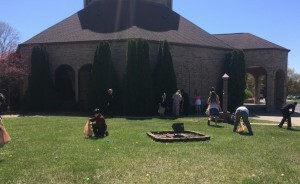 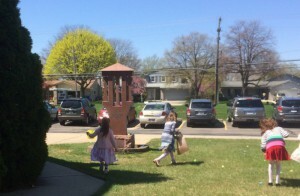 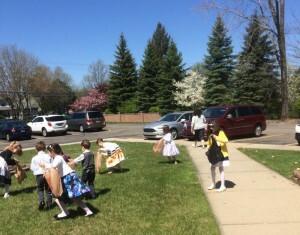 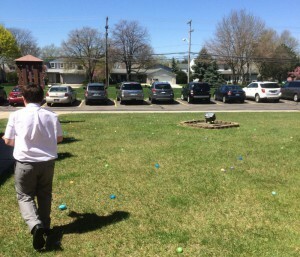 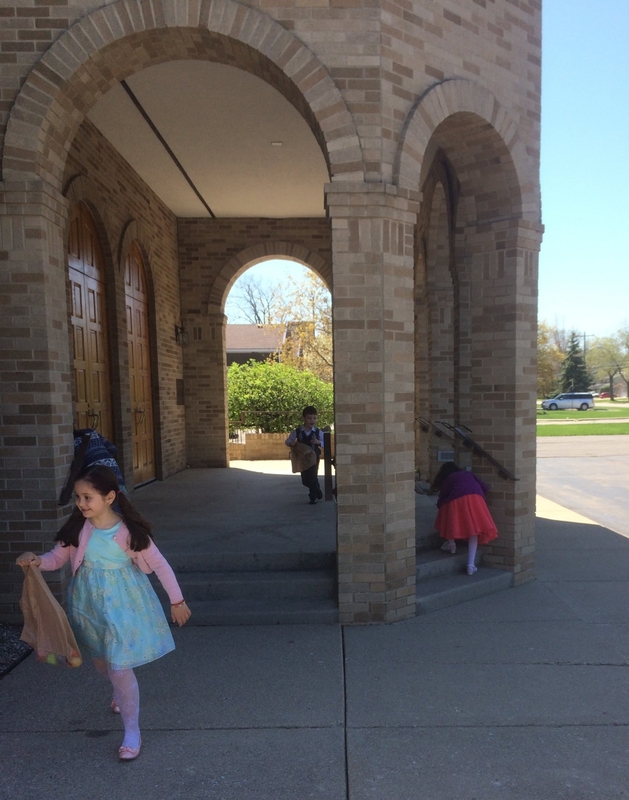 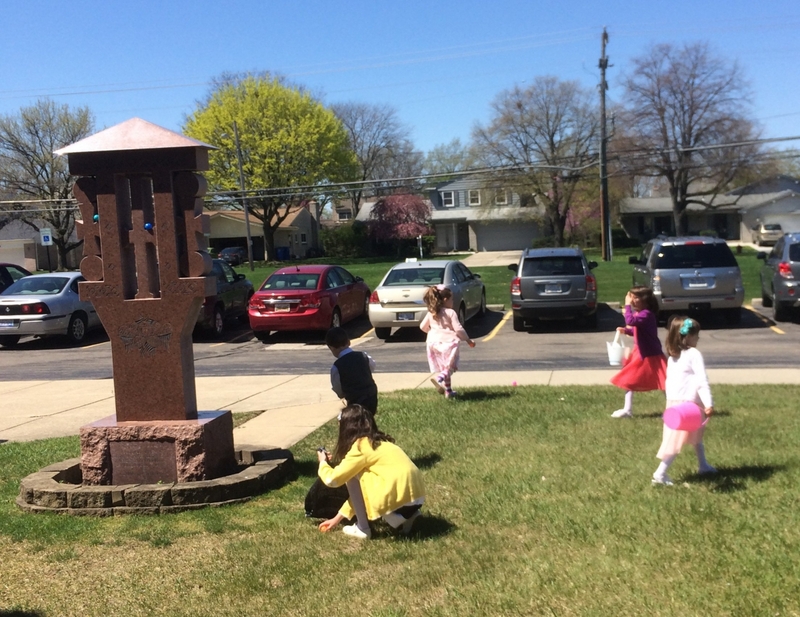 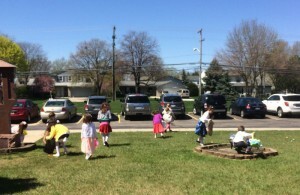 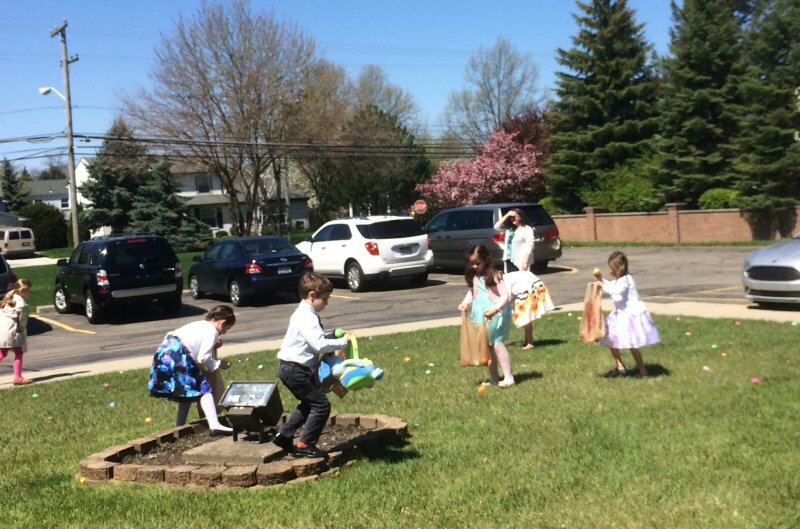 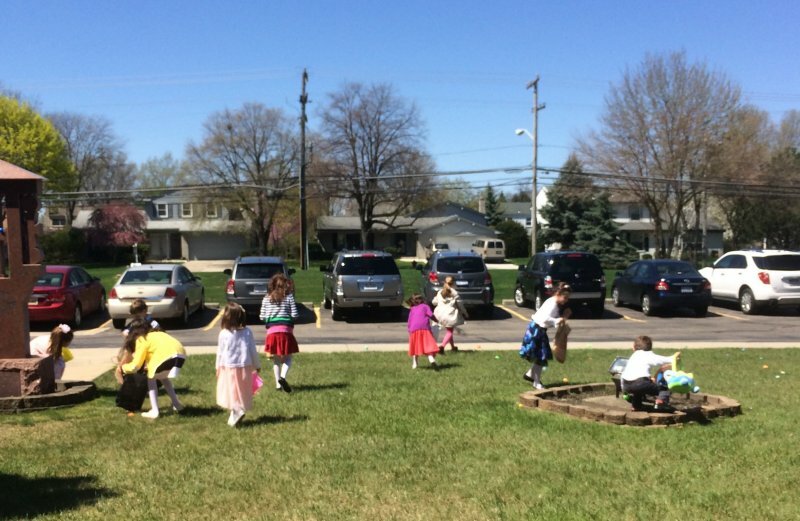 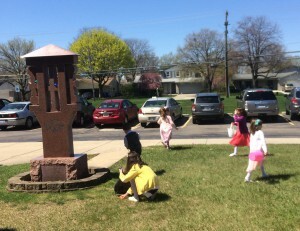 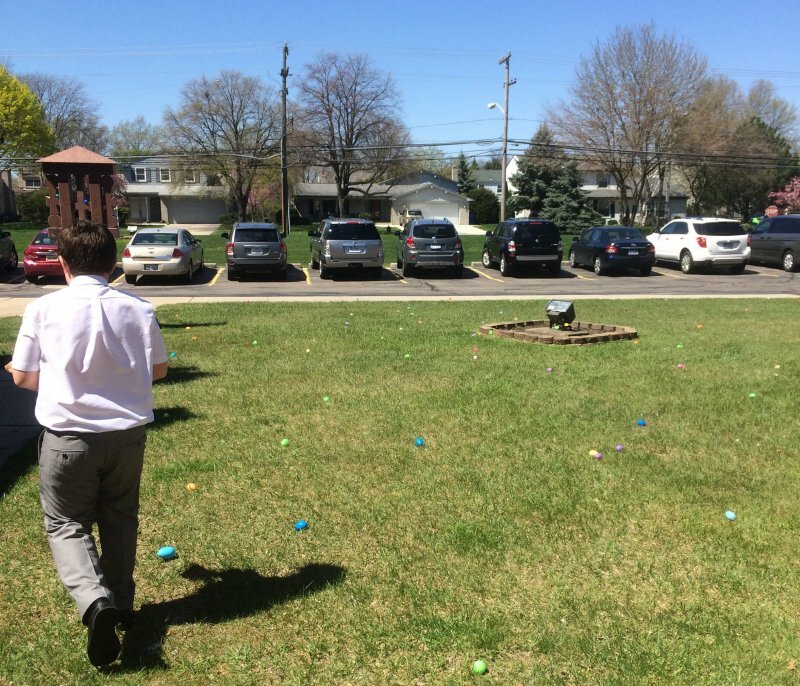 On Sunday, April 23, our children were treated to an Easter Egg Hunt on the front lawn of the church. 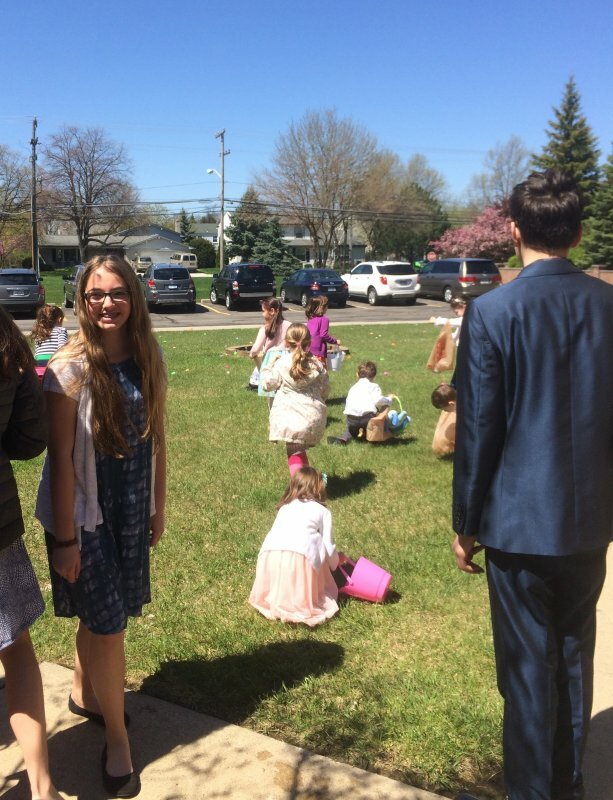 Thanks to the efforts of some of the mothers, an ample supply of plastic eggs filled with chocolates, candies and other prizes were available for the taking. 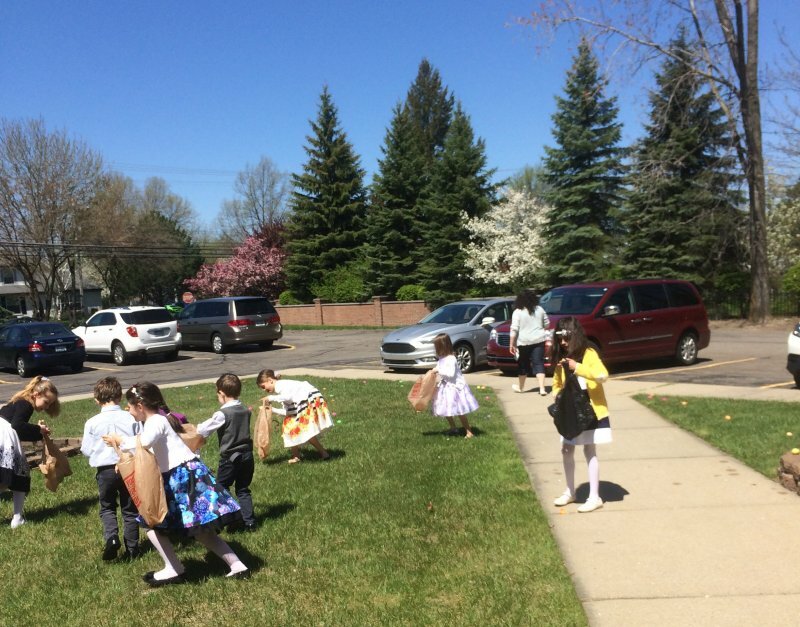 Children of all ages had fun collecting the treats!